Faceyman's MC Magazine: Back in Business! For Christmas, I received the latest copy of Motorcyclist magazine - January 2011 edition. Being the owner of a Buell Motorcycle, one of the articles caught my interest..."Erik Buell is Back in Business. This time, Erik Buell is doing it his way." As you may recall, I blogged about EBR Racing back in October - Buell Resurrected in Street Mode, so the interview in Motorcyclist magazine is very timely, especially if we are to see something new for Buell enthusiasts. 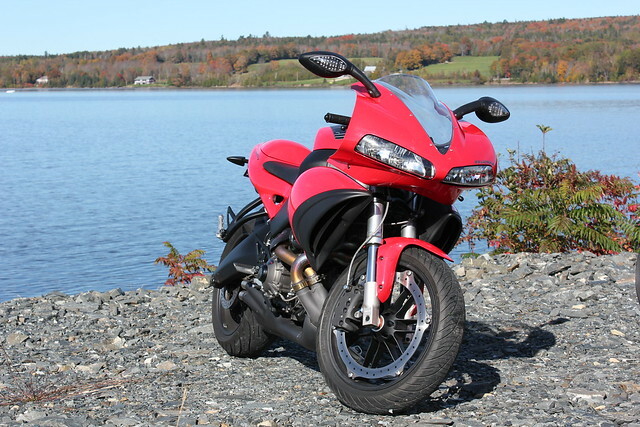 Speaking for myself, I look forward to seeing the day when a new street legal sport bike is available from Erik Buell. The complete interview: Erik Buell is Back in Business. This time, Erik Buell is doing it his way. Season's Greetings to all and Happy New Year! Copyright 2014, Faceyman.com. Awesome Inc. theme. Powered by Blogger.